A humidifier can be a wonderful thing for people who suffer from allergic attacks on a frequent basis. If used improperly, however, a humidifier can actually become a trigger for an allergy attack. This is especially true for those who like to keep a humidifier in their bedroom. What is the best humidifier for allergies? It will be one that will help you make sure that you can keep your specific triggers under control on a regular basis. Just about any humidifier can help allergy sufferers in some way. Whether it’s a vaporizer or it’s a cool mist model that sits on a tabletop, the added moisture can help to reduce airway inflammation and limit histamines. The chart below offers you the chance to compare and contrast some of today’s top-rated publicly reviewed humidifiers in this category. How Does a Humidifier Help With Allergies? Many allergy sufferers experience what is known as “rhinitis.” This refers to the irritation, inflammation, and congestion that happens within the tissues of the nose and throat. Higher humidity air helps to sooth the irritation, which means the inflammation may also reduce, and this can provide fast relief. Since the tissues are now moistened, they can work better to expel the allergy triggers that initiated the reaction in the first place. That’s great for people who have nasal allergies. It’s not so great for a common allergy that people have: dust mites. When humidity levels reach 50% or above indoors, then dust mites thrive. They cannot survive in low humidity environments. This is why some people end up trading one allergy for another when they introduce a humidifier to their bedroom. Mold is another allergen that thrives at high humidity levels. In some environments, humidity levels may be persistently high because of outdoor conditions, so one of the best dehumidifiers on the market today could be a better option for allergen control. What does this mean? You need to find the best humidifier for allergies that lets you set a humidity percentage that is high enough to combat nasal allergies, but low enough to stop dust mite and mold formation. What Are the Types of Humidifiers That Help Allergies? If you’re an allergy sufferer, then your best humidifier option is one that is a point-of-use unit. These are the humidifiers that are small and portable, but can still improve the humidity levels in a single room. You’ll need to fill a water tank on a regular basis with this type of humidifier, but that’s really a small price to pay for the benefits you can experience. 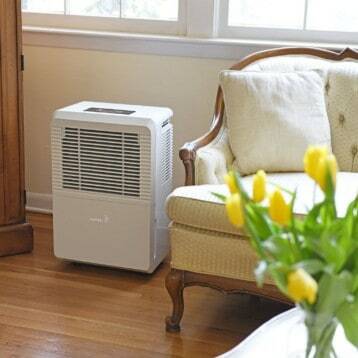 Most allergy sufferers look at an evaporative humidifier as their first and best option. This is because a wick filter is used to distribute a fine mist of water vapor into your indoor environment. The filtering process helps to eliminate allergens in the air and the higher humidity levels combat your nasal allergy symptoms. It’s a win/win situation, but you’ve got to change your filters on a regular basis. The best cool mist humidifiers are also an option for allergy sufferers. They don’t necessarily have a filter, but they do raise humidity levels so you can experience symptom relief. You may wish to install HVAC filtering within your home with this type of humidifier to achieve the best possible results for allergy reduction. Vaporizers, ultrasonic humidifiers, and even impeller humidifiers are all potential options for your home as well. Each has some specific strengths and weaknesses to be considered, so evaluate your allergies, think about your current indoor air quality levels, and then you’ll be able to select the best humidifier for allergies that meets your needs. Sometimes it is our lifestyle habits that bring us to an allergy attack even when we have a humidifier in place to help us. For example: if you spend a lot of time outside every day, then showering only in the morning can actually create worse allergy symptoms for you. Wearing shoes around your house can track in nasal allergy triggers that a humidifier may need a day or two to filter out for you. Even something as simple as opening the windows of your home or drinking a glass of wine can be enough to trigger an allergy attack. Humidifiers may also be less than effective if you are making these allergy mistakes. Encountering strong smelling colognes or perfumes. Some chemical smells, such as chlorine in a swimming pool, may also irritate nasal passages to encourage an allergy attack. Expecting short-term allergy medication to work all day. Some allergy medications only work for 4 hours. Some are 6-8 hours. If you need all day control, then you need an all-day allergy medication. Exposing yourself to triggers. Certain foods can enhance your allergic reactions. If you’re allergic to ragweed pollen, for example, then eating a banana or a cucumber can cause bothersome symptoms. It is important to understand that the best humidifier for allergies can only do so much to help you with the symptoms you are experiencing. It’s not a cure-all solution. It can, however, help limit symptoms when you’re willing to make other lifestyle changes that may be contributing to your allergies. It can take some trial and error to find the correct humidity level that controls your specific symptoms. What Are the Prices of the Best Humidifiers for Allergies? You’ll notice that some humidifiers are marketed specifically to allergy sufferers in this category and there are higher prices associated with these products because of that marketing. We’re excluding those humidifiers here because they operate in essentially the same manner as any other humidifier. The goal here is to specifically control humidity levels. Entry-level humidifiers that can do this for you are typically priced around $30, with feature-rich models sometimes topping out at $100 or a little more. This is an awesome 3-in-1 air purification system that doesn’t look like your standard humidifier. It’s more like a tower fan, which can be disconcerting, but you can’t argue with the results. 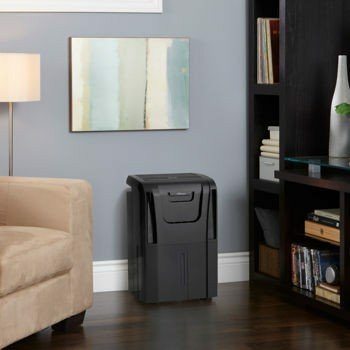 The HEPA filter helps to reduce allergies, while odor reduction occurs thanks to the included charcoal filter. Titanium dioxide with UV-C technologies even helps to filter out germs, mold spores, and other airborne stuff you don’t want to breathe. This humidifier might just be the best model we got to see out of every category on this site. We highly recommend it. This filter-free humidifier is a great option for those who need to control a specific indoor environment. Run it in your bedroom, at your office, or any other room where you spend a lot of time. Not only will it relieve allergy symptoms rather effectively, but other health issues may improve as well. The design itself is rather simplistic, but you still get an aromatherapy diffuser, air purifier, and ionizer within the unit. If you’re on a budget, consider this investment. This is the portable solution you need for when allergies are at their worst. Take this small humidifier and essential oil diffuser combination wherever you go so that you can naturally work on allergy symptoms. You can adjust the mist levels with standard options and there’s an auto shut-off feature as well to avoid damage from a lack of water. You can also introduce 30 second bursts into your indoor environment instead of running the humidifier continuously if you prefer. Considering the price of this model, the versatility you receive is surprisingly high, which is why it earns our recommendation today. This might just be the best humidifier for allergies if you’re on a tight budget. It offers an essential oil diffuser, air purification, and ionization in addition to the humidification it provides. Kids love it because it offers changing light colors that can even work as a nightlight. It shuts off automatically when the water runs out and offers 3 operation modes so you can choose the right level of humidity and aromatherapy based on your current symptoms. You’d pay just as much for a bottle of allergy pills as you would this humidifier, so consider giving it a go today. This humidifier works better as an aromatherapy device than an actual humidification device. It does a great job of masking odors with your favorite essential oils, but it also can be used for medicated vapors if you prefer to control your allergies. It only takes a few minutes to get this model working, but you’ll get months worth of results. Mist is produced instantly once turned on. It’s safe enough to put in a nursery, but effective enough to operate even in a master bedroom. The best humidifier for allergies will help you to naturally control symptoms so you don’t have to contend with the fatigue and other problematic side effects that allergy medications may cause. Invest into yourself today and that itch at the back of your throat might finally go away.